Here are two more tools to enhance teachers communication with students parents. Using these tools you will be able to engage parents in their kids learning and create a supportive class community. You can instantly send messages to parents either collectively or individually, share learning materials with them like documents, photos, and class updates. You can also use them to coordinate events and meetings, create online sign-ups for various occasions (e,g., filed trips. school fundraising and many more). Check them out and share with us your feedback. Bloomz is 'the free award-winning app that saves teachers lots of time in all parent communications, while creating a supportive classroom community. Bloomz makes it easy for teachers to securely share photos, classroom updates and reach parents instantly through messaging, as well as to coordinate events (like PT Conferences) and sign up for volunteers. Bloomz now supports Student Timelines, a simple & beautiful way to capture and share student-driven portfolios. Students can publish their work by quickly scanning a QR code and annotating their work. Teachers can approve and instantly share with parents on Student's Timelines'. 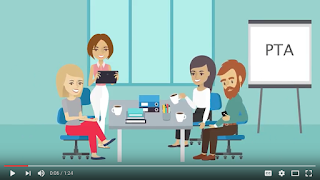 Watch the video below to learn more about Bloomz. This is another great tool for communicating with your students parents. ‘You can post updates and announcements, share pictures and upload documents. If you have a room parent, you can let him/her also share content with your class circle. Everything you share stays private in your circle. Parents can access all the information on a computer, table, or via free mobile apps. They also get email notifications about all the new content.When you organize an event or task on SimplyCircle, it goes on your circle calendar. Parents get automatic email reminders about upcoming events and deadlines. You can create online signups for any occasion: a field trip, a classroom party, a school fundraiser, or a parent-teacher conference. For more private teacher-parent communication, you can message one-on-one with a parent. 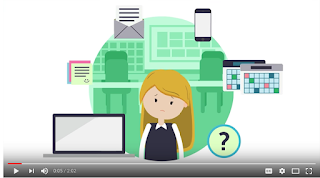 You don’t have to look up parents’ email addresses in a directory – just click on the parent’s name in your class roster, and start a conversation with them.’ Watch the video below to learn more about SimplyCircle.